I'm so very excited to share with you a fresh + robust new Mastery Session called 4 Excellent Habits to Beat Digital Distraction. As you know: legendary producers + history-makers all understand that you can dominate your domain by producing masterpieces or be playing with your phone all day long, but you don't get to do both. Most people on the planet today are terrified of being alone. And yet, there are multiple benefits that come to the leader who carries the wisdom of being alone more often in this noisy world. 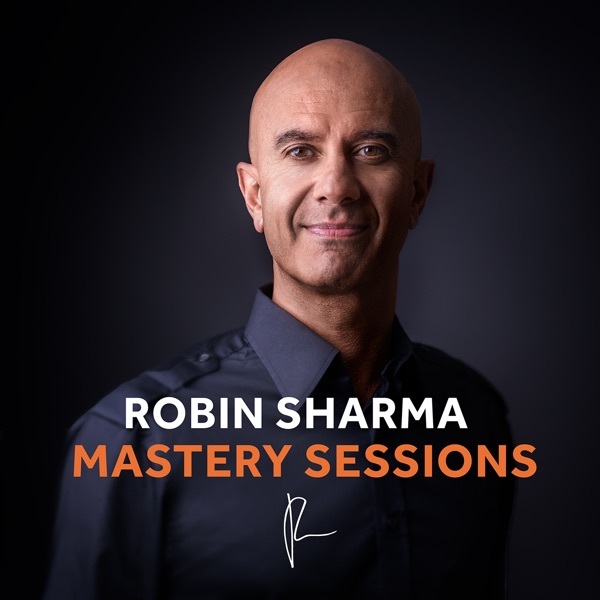 I'm so very excited to share this fresh episode of The Mastery Sessions with you, as I know it will bring some super valuable ideas to the way you work, as well as the way you live. In this episode you're about to discover a method to see hard times as part of the purification process of your personal heroism + how to take your wounds and turn them into wisdom and transform your stumbling blocks into stepping stones. I'll also walk you through the importance of feeling a feeling to heal a feeling [Heartset work]. I'm absolutely delighted to share with you a hot new #MasterySession entitled Why Kindness Is Not A Weakness. 1. Why industry titans use kindness to build strong bonds with their community so they can lead their field. 2. The phenomenon of "Limbic Hijack", and how it deactivates your primal genius so you fail to do your mighty mission. 3. How Nelson Mandela leveraged his compassion to lead the world. 4. How to transform fear into faith and insecurity into audacity for outstanding results. I hope you're doing wonderfully and I'm very excited to share this new episode of The Mastery Sessions on "Why So Few Succeed." I know this tool will be valuable to you as you rise to exponential productivity and live a life that makes history. This episode will walk you through how the great heroes of history think, operate and live. I really hope this Mastery Session that I've worked so hard to make for you, serves your rise to world-class in all you do. In this hot new Mastery Session, I deconstruct the game-changing tactics used by warriors throughout time to sustain peak health + performance. I'm very happy to send you this new episode of The Mastery Sessions, which will walk you through a quick system to help you set up a spectacular life. In it you’ll learn how a legacy statement can sharpen your focus and reconnect you to what you want to stand for + why selecting your non-negotiable values is integral to living a life you’re proud of at the end. I'm delighted to share a hot new episode of The Mastery Sessions with you that will walk you through how to speak your opinion, even when you feel frightened to do so. I hope this session really helps you rise as an elite performer as well as a human being committed to living your finest life. --The Gift of Presence as a tool to astonish. --The importance of pursuing connection over cash and purpose over profit. --How the great heroes built understanding and forgiveness. --Why being the kindest person in every room your in wins. In this new Mastery Session, I share the Top 5 values that guide my life, with the hope they help you clarify yours. Interested in learning how the Superstars set goals? Fascinated to discover a process that The Top 5% use to architect and implement a world-class life? Great. Then go ahead and listen to this remarkable new Mastery Session. Wishing you giant success + major impact. One of the primary jobs of a leader and an A-Player is influence. Yet so few people understand the hidden dynamics of masterful communicators and how the great heroes of humanity inspired their followers, via their words. And so I created this Mastery Session that deconstructs the 5 most powerful skills the best influencers on the planet practice. This episode will also be super helpful to you as you grow relationships with your loved ones and friends. Society teaches us that confusion needs to be avoided. I suggest to you, that without confusion, there is no growth. In this new Mastery Session, I walk you through how to turn pain into power and setbacks into strength and the importance of waking into the places that scare you. We'll also go through key insights for winning in difficult times and how the pros stay exceptionally positive in down periods. This is definitely one of the best Mastery Sessions yet... Massive value and transformational insights from my 20+ years advising many of the best companies in the world. If you're a business-builder, this episode is an absolute must-listen. Share it with your team as well and build some discussions around it so you all rise to your next level of performance. This episode is a deconstruction of an acronym I love: OAD [Obsessive Attention to Detail]. A deconstruction is basically a shift from superficiality. You see most people stuck in the majority, the 95%, it's not a judgment, it's just an observation. When you say, "Why are you healthy," or "What's your winning formula? ", or "What are the five best lessons of your life?," or "What's the philosophy you bring to the leadership table? ", or "What does the next 100 years of your life look like?" --the meaning of "mundanity" and how it will help you multiply your results exponentially over time. --how "The 2 Massage Protocol" weekly routine that I've helped famous CEOs and celebrity billionaires install to absolutely maximize their daily performance [and sleep less] will change the game for YOU. For the next 90 days, devote the first 90 minutes of your work day to the best opportunity in your life. Nothing else. Zero distractions. This episode is a relatively quick one where I'm going to deconstruct one of my well-known brain tattoos. It's essentially this: "Make your 'I can' more important than even your IQ." In this Mastery Session you'll learn how to create explosive confidence like Kanye West. We live in a world, I call it the cult of superficiality, addicted to distraction, afflicted by interruption. So we take the trinity of our performance assets, our mental focus, our physical energy, and our willpower, those are the three primary assets of a world-class producer, and we diffuse them, we disperse them, around thousands of projects, lots of little things. And yet I think of the 7,000 Ferrari philosophy. They are world class in terms of producing iconic automobiles, vehicles, but they don't want to appeal to everyone. They don't produce hundreds of thousands of vehicles. They want to do a few products, they want to bring out a few things, but do them really, really well. That's really the craftsmen mindset. That's how craftsmen think: "Do few things, but do them really well." I'm really excited to share this new Mastery Session with you as it's all about developing children of high integrity, deep ingenuity and strong leadership capability. --ways to build your children into genius-level performers who raise the world via their lives. I believe you'll get a lot of perspective and insight from this hot new Mastery Session. --the power of connecting to the shortness of life as a vehicle to transcend your limits. Own your craft. Raise your impact. Enrich the world. I think you'll find deep value in this very sincere message. --you wish to impact society while you leave a mark on history. If I know you as I believe I do, the Mastery Session that I've just released today will be massively helpful on your rise to legendary. Personal sharing: as my profile grows, I've had a few people who have tried to bring me down. As I've heightened my obsession to serve, I've had some critics who have hoped I'd fall. As I've helped more human beings live their greatness + lead world-class lives, I've had some haters who have tried to dim my light. Yet--rather than burying me, these "spiritual friends" have built me. And I've used the rocks they threw at me to build monuments of forgiveness, understanding, wisdom and compassion within me. If my words are speaking to you, please do the rest of your life a giant favor and listen to this new episode right now. Hope this episode causes some neat breakthroughs for you. I dig deep into the seasons of life. And what you can learn from each one when it comes to personal mastery, professional leadership and being an outright game-changer. I've spent 20+ years advising billionaires, celebrated CEOs and other titans of industry on how to multiply their income, lift their influence + unleash their highest impact. A number of them are super-wealthy but very poor. --they have jets and yachts but no joy and peace. So, in this new Mastery Session that I'm ultra-excited to share with you today, you'll learn what real wealth is all about. When I met Steve Wozniak, the co-founder of Apple at The Titan Summit in Zurich he shared an insight I'll carry with me always. I made a decision early on that when people were not nice to me I'd be nice to them. --the precious value of becoming "a radiant optimist" so problems get recoded into possibilities. And adversity fuels pure mastery. Thank you so much for following these Mastery Sessions, and sharing them with your friends, and your teammates, and I'll see you next time. I'm doing this Mastery Session because so many people have been asking, "How do you really take a bad day and restructure it so that you can actually turn it into something valuable?" Newton once said "If I have seen more than others, it is because I have stood on the shoulders of giants." I don't know if you have a mentor, but if you don't have a mentor, you'll want to get one as swiftly as possible because we become our influences, we become our conversations. We think and perform like the people we surround ourselves with in our orbit. Nelson Mandela is a titan of humanity. Mozart is a titan of music. Edison or Einstein are titans of invention and science. In this Mastery Session I'm going to deconstruct how the best of the best in business achieve their staggeringly noticeable results. You can inspire the world. Or you can be liked by all. You don’t get to do both. I feel energized to share this Mastery Session with you. And I need to humbly thank you for sharing each episode I release. Millions of elite performers from 60+ nations have listened them since I started doing them a few months ago. I write in a journal daily. This extraordinary ritual has revolutionised my mindset, transformed my heartset and generally influenced my life exponentially. I want the same results for you. Period. And so, with deep care and the highest of focus, I recorded a new Mastery Session where I literally deconstruct my personal practice of journaling in to 7 compelling reasons to start today. Hope this helps you rise to your best and lead your field. I’ve got your back. Let’s fuel your greatness. Seriously rich and robust stream of ideas, insights and implementation strategies that have taken me--oh, about 20 years to discover--in today's Mastery Session. Sure you've got a lot to do today. Got it. But just roll with me and watch this episode if you want to discover The 5 Mentalities of Mastery that the geniuses, business superstars and ultra-effectlive people run quietly through their minds. And definitely share it with your team + friends so we spread the value to as many people as possible. --did you hear the story about how business icon Sam Walton got thrown into jail for pursuing innovation? --interested in learning the #1 way great companies absolutely own their industries? --want to know the dangers of "Mediocrity Creep" and how it destroys most businesses, over time? If so, carve out 8 minutes and listen to this Mastery Session that I carefully made based on one of the models I teach at my annual flagship event The Titan Summit that has helped past attendees build their fortunes and scale world-class enterprises. Hope all this free training I work so hard to make so valuable is helping you do epic things with your greatest days. Learning from the giants injects their knowledge into your brain. Associating with massively intelligent people and uncommonly successful performers, through their books and other content, infuses all they've understood into your days. What I'm suggesting to you is that you can add 100 years of greatness/wisdom/value and insight into the rest ‎of your life by installing what I call "The Daily 60 Minute Student Habit" onto your schedule. I recorded this Mastery Session to walk you through my latest thinking on the power of curiosity as a way to winning. Remember: Education is inoculation against disruption. And as you know more you can produce better. Be great. Stay strong. Reach for genius. One of the best skills you'll ever hardwire into your mindset + heartset is the skill of undefeatAbility. For years I've talked about "grit" being a primary trait of the most successful people in business and the corresponding research of Angela Duckworth at University of Pennsylvania. Bottom line: it's not the brightest who wins. It's the most relentless. In this new #MasterySession, I dial into a research study of 12,000 managers and the one thing they did that created their best performing days. Thank you to everyone across the planet watching The Mastery Sessions, using them at team meetings to grow market-leading organizations and sharing‎ them with their friends to help them improve their lives vastly. I handcraft each episode with a ton of care, passion + love. Happy they've been so helpful to so many. And I promise to work even harder, to make them even better for you. Much of my life has been a devotion to a simple expression: you can lead without a title. The old model of leadership taught us that to lead meant the need to have a formal position, high authority and a big office. But we're now in Leadership 2.0. And if you want your organization to win. And if you want your craft to fly, you absolutely need to learn to show brilliant leadership without relying on a title [or needing one]. Remember, what you do every day is x100 more important than what you do once a year. And the finest leaders + the fastest performers all make the time to learn + grow daily. Why? Because as you know more you'll achieve more. And as you become better, you'll experience greater. So definitely watch, study and then deconstruct [I'll do a video sometime on how I deconstruct insights as it's such a potent practice] this ‎episode. Ok. Hope this helps. Go be great! How did Jobs + Musk, Dali + Kanye, Mandela + DaVinci do it? Yes they worked their crafts, invested in their acumen, found the right mentors and exercised the grit to get their audacious visions done. But one thing every single icon who has ever graced our precious planet‎ has had in common is the ability to install systems that release their greatest productivity. Having worked with many billionaires as a leadership + elite performance advisor, I've watched how they do what they do. And I've taught them a series of "peak performance protocols" that have caused them to x100 their results, impact and contribution. I hope this Mastery Session serves your productivity beautifully. I truly hope you're doing things today to fuel your joy‎, accelerate your success and move the needle toward your most audacious ambitions. If you want to grow your confidence, creativity, productivity and prosperity exponentially you really need to watch this new Mastery Session where I walk you through 5 of the most valuable and result-driving leadership principles you will ever learn. I encourage you to not only watch the episode a few times but go deep into it. Deconstruct it. Study it. Reflect on it in your journal or on your whiteboard. In a world where a superficial approach is most common, go rare-air. Be rigorous around the insights. Dial in on them. Master them. And definitely post a comment after you've gone through the podcast so I can read your thoughts on it. Today's message + insights are super-granular. --how to use flight time for show time so you become The Undisputed Heavyweight Champion of Your Field? --the awesome value of upgrading your hotel room so you bring on genius-level performance into everything you do? --my famous "Forced-Optimization Strategy" [FOS] that has helped my beloved clients at Personal Mastery Academy and my annual flagship 4 day event The Titan Summit create fortunes of uncommon success + service in our confusing world? --"The 3 Energizers" that will x100 the joy, gorgeousness and deep value of every trip you take for the remainder of your career‎? If you answered "yes" to learning these powerful ideas + routines I've discovered over 2 decades criss-crossing the planet delivering leadership presentations, you will LOVE my new Mastery Session. Hope this helps you own your craft, lift your life and make your contribution to the world. P.S. THANK YOU: Millions of people have downloaded The Mastery Sessions, my new podcast, since I started releasing episodes just a few months ago. It all started off as an idea and it's becoming a revolution. I feel vastly blessed to be able to help + inspire + ‎serve. Truly. I’ve advised famous billionaires, top NBA stars, music royalty and some of the ‎most successful entrepreneurs on the planet at my annual flagship event, The Titan Summit. If there’s a single trait they all have in common it’s the “developed ability” to remain inspired not only when conditions are easy but (especially) when everything’s falling apart. I call it a “developed ability” because keeping the passion in terrifying times is a muscle, a skill that grows greater with practice. You CAN rise to world-class in your inspiration. You just need to commit. And then put in the training time. Daily. In this volatile world, with wholesale negativity, and many focusing on the worst of humanity, it has never been so important to learn how to protect your inspiration. This hot new Mastery Session, handcrafted with a lot of care and love for you, will help you do exactly that. Managing + maintaining your inspiration so you do inconic work, influence your field and lift our world isn’t a “soft skill”. Actually, it’s really hard to stay focused, brilliant and productive in this Age of Dramatic Distraction. This new episode will walk you through some very practical skills to help you to remain at your best in the beautiful seasons and within the messy times. And then go own your game. And rock your craft! Hope all this free content-rich training I send over to you each week is helping you do amazing work, create a spectacular life and make your impact on all the human beings that will be served by your increasing greatness. ...then definitely, carve out some time before this gift of a day is done to invest in your growth, increasing skill and best life by watching this new #MasterySession that I made with intense + immense passion. This Mastery Session is all about how to leap from a job to a craft. To lift your work from a job to a craft, install the perception that no work is ordinary. Why am I doing this Mastery Session? Someone who was at The Titan Summit a few months ago told me, "The best idea that I got from the 4 day event was your concept of building a team of Picassos." In this episode I'm sharing some of my ideas on building a team of Picassos. These are not from a book I've read or from a conference I've been to. I've spent many years building multiple businesses, and I'll tell you, at my core business, I have the best team in place that I've ever had in the history of the company. What I'm going to share with you in this podcast hopefully will be a game-changer, but also will be incredibly practical because it's derived from tremendous experience. I mean, I have had to hire a lot of employees. I've had to let go of a lot of employees. I've dealt with difficult employees. I've got knocked down by some employees. I've been lifted up by a lot of employees. What I'm sharing from you comes from the heart, and it comes from the trenches. I truly believe that given the twin forces of globalisation + market disruption, it has never been so important to do your finest work and lead your professional field. You're competing against top talent across the world these days. And so only the best will thrive. I love great quotes. The right line can carry an entire book's worth of insight + impact. And so I've made this new Mastery Session for you where I share 5 of my favorite quotes to evoke your highest performance. Hope this helps. And please remember: little acts of progress performed each day with consistency cause vast improvements over time. Make today count. Whether you lead a nation, an enterprise, a community or a family, we are all in the communication business. Knowing what to say, in the right way--at the perfect moment--can mean the difference between a world-class life and an average one. As I start building out new teaching models for The Titan Summit in Zurich this December, I spent a lot of time recently deconstructing what I've learned advising and witnessing many of the world's top leaders. And I've put my best insights as well as some super-practical strategies in this brand new Mastery Session. I know the information will really help you both in your work and at your home. But like all learning, it's not going to make a difference if you don't watch this video and then, even more importantly, start practising the concepts until they wire in as habits. Too many potentially fantastic performers + rare-air leaders among us have left their best creativity, productivity and impact on the table of broken dreams because they stayed stuck in the past. You can stay angry at someone who hurt you. Or you can get busy doing your visions and changing our world. But you don't get to do both. I lovingly made this new Mastery Session called How to Forgive a Human Being to elegantly help you forgive the unforgiven so you leap from any victimhood up to leadership. As always, I'm in your corner. You can be great. And now is your time. In this new Mastery Session called The 2 Drivers of a Remarkable Life, I dig deeper into what makes heroes heroic. And how you too can step up your mindset and behavior to get there fast. In this Mastery Session I'll walk you through insights on how to x20 the quality of your work (based on Italian examples like Moncler and Ferrari), ways to scale your inspiration (from art like Trevi) and a lesson from a master in a cheese shop to make life vastly better [thank you Roberto!]. A little while ago I came across a PBS special on one of my favorite heroes, Thomas Edison. This is a man with so many patents, who achieved so much, who was so devoted to bringing on genius into the world. He clearly changed our lives. This Mastery Session is all about is his Menlo Park, where he developed this laboratory in a huge warehouse space, where he and his small team would go to work on their inventions. It would be a place where Edison could get away from the world and where he could get his best ideas, distraction-free, to bring on what he did to the world. Transcending what terrifies you and finding freedom from fear is one of the primary pursuits of people rising to world-class, both in their work and within their lives. The project you are most scared to do is the one that holds your greatest growth. So why flee from it? In this hot new Mastery Session, I walk you through some of my best thinking on how to become braver, stronger and more creative in the face of resistance. It's common to hear, "I'm getting older so I need to workout less" or "I'm not 21 anymore so I need to become less of a dreamer and more practical." The vast masterpieces of art, business, science and humanity were not constructed by practical people. And many of them were far older than 21 :) In this Mastery Session, I'll walk you through some potent insights + tactics to become ageless. So you become peerless. Even though I see beautiful change in the world as more people in business embrace the ideal of monomaniacal value creation and a career built on authentic contribution [business used to be only about money versus craft, community and acute service to humanity], some still feel that is they give a lot, they'll lose too much. And so I've created a Mastery Session called "How to Stop Being Used". It's pretty short but pretty valuable for you as a Leader Without a Title, A-Player and world-lifter. Here’s the great seduction of a human life: we postpone doing what matters most until some time in the future when we hope it will all be easier. And yet, you’re smart so you know the truth: there will never be a better day than this day to step into the life you’ve always longed to live [and start becoming the person you’ve always hoped to be]. To reconnect you with the preciousness of life and to give you some tactical insights to x25 your sense of energy and fulfillment, I’ve made a new Mastery Session called 5 Things To Do Before You Die. Part of what made people like Martin Luther King Jr., Nelson Mandela, Mother Teresa and Mahatma Gandhi legendary were the words they spoke. Please just think about it: words of hope can lift whole nations. And words of hate can destroy entire races. Victimspeak will diminish your personal output while leadertalk will galvanize it. ‎In this short but insight-filled Mastery Session you’ll learn how the best leaders inspire and move people to brilliant results. So often, when I travel across the planet to deliver my Lead Without a Title presentation, my beloved event attendees ask me: "Robin, when will you write a book that helps parents raise children who are leaders?" - I have no plans to write a parenting book. But what I did do, given how many people want good information on the subject, is record a new Mastery Session called How to Grow Great Kids. In this Mastery Session I'm going to offer you some tactics that I use to make that leap from a difficult day into you being at your best again. A job is only just a job if you choose to see it as just a job. Why would you lose the opportunity to leverage what you do every day? Being a leader is about what you give versus what you get. In this episode, I’ll invite you to play with 5 POWERFUL insights on shifting from scarcity to leadership. What I want to do in this Mastery Session is really walk you through the tools I've used in my own life to get through very difficult times. A lot of people are very careless with their language. I mean, the words you use can lift up your energy, make you more creative. The words you use either allow you to do world-class things or the words you use deny your talents. This Mastery Session really got me thinking about people who divorce themselves from the world and go out into the wilderness just to think and just to learn about themselves and just to be. In this world where so few of us are comfortable being alone, being in the wilderness, in this world where almost everywhere you go there's technology and there's noise and there's complexity. Almost everywhere you go people want to talk, talk, talk, talk. Just imagine what your life would be like as a creative person, as a leader, as a productive person, as a producer, as a human being if you installed a weekly ritual of going for a walk in the woods. To me, it's like a tonic from toxicity. This Mastery Session is all about a question I get asked from time to time: "What's the true purpose of life?". Also in this episode, I take you back to my childhood and share some insights I've learned that can be of great use to you. In this episode I’ll share 7 insights to help you push your capacities and internal limits to the very edge of your external limits. I’m going to walk you through some of the key tactics of game-changers. In this episode I share with you 6 game-changing insights on how to play at world-class in terms of creativity. Regardless of what you do, whether you’re a bookkeeper or a banker, whether you’re a taxi driver or a hamburger flipper, whether you’re a student or filmmaker, you are a creative. I want you to connect to your creative wellspring that longs to show up fully in the world. I wanted to let you in “under the kimono” a little bit and share 6 lessons that have been of service to me as I’ve walked through the journey of my life so far. I wanted to offer you some ideas that have really served me well, because I’m just like you, I’m trying to aspire to the top of the mountain over the course of the rest of my life.